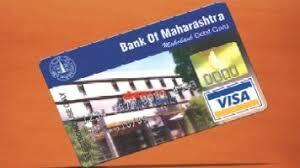 PUNE: In order to ensure safe and secure ATM and online transactions, Bank of Maharashtra is replacing all the magstripe debit cards with newer and EMV Chip cards. The bank has taken various steps to reach out to all its customers and urging them to replace their existing debit cards with the EMV chip cards. For the sake of convenience of the customers, bank has extended the facility wherein customers can replace their existing cards with the new upgraded ones at any branch of the bank. Customers can avail the new card immediately if he/she approaches any of the bank’s branches and fills out the form requesting the same. The card would be activated within a day from issuance. Bank has guided all its staff members to complete the process swiftly and ensure that the maximum time for replacing an old card does not exceed 20 minutes once the customer fills the form. The bank regularly checks its inventory and delivers additional cards to all the zonal and nodal branches on timely basis. Bank of Maharashtra has undertaken this initiative as per Reserve Bank of India’s directives on replacing all existing magstripe cards with more secure EMV Chip cards. The bank plans to complete replacement of all cards well within the RBI deadline.